What is the most important question you need to ask when buying a Bandsaw machine? 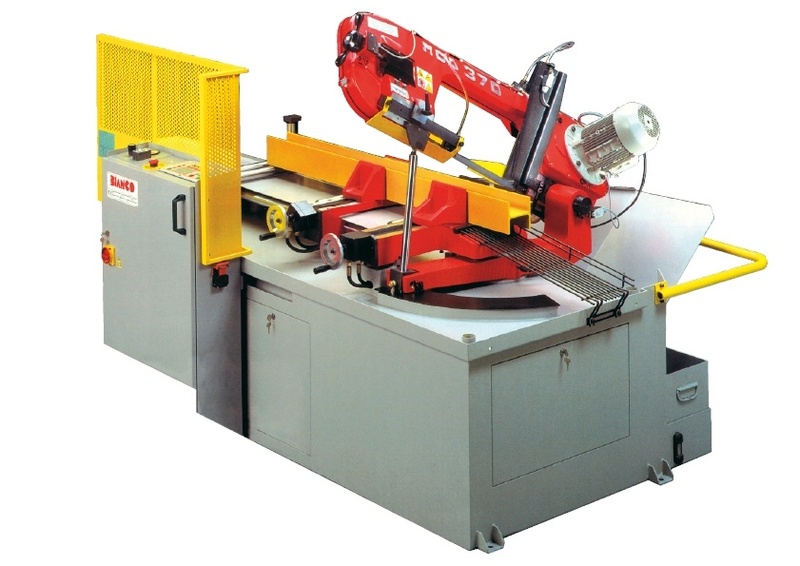 Have you ever had the task of purchasing a bandsaw machine? And wondered what to look for? Or, regretted afterwards, for making the wrong decision? There are a lot of options available today and questions you are left asking yourself, are; - why are some machines cheaper than others and others have more gadgets than an airplane? Answering the key question below will help ensure you don’t end up with something that will need to be replaced in less than 12 months or something that has all the fancy gadgets you will never use! The Question: What are you going to do with this Bandsaw? This seems a pretty obvious question – you need to do cutting! Seems simple? However this is often overlooked and the lack of actually thinking through and planning is swept away by an impulse sale. What do you actually need to cut, and how much? Are you a steel merchant cutting packs of steel over 600mm square, 100 times over; or are you a fabricator cutting ‘all sorts’? The answer greatly affects the bandsaw range you need. It is critical that you answer this question first before talking to any machinery dealer. Given this information, where does all this lead? A few things we can immediately learn from this example. • They are currently cutting 100 pieces of the same size on an average day, with a manual, single-mitre Machine. There is a lot of time spent handling and turning long lengths of material to achieve the finished result. A solution to this is a Semi-automatic machine, dual-mitre, saving up to 4 man-hours per day! • They are currently cutting large structural I-beams with a machine that has the physical capacity but are having constant problems with the belt-drive motor/pulley slipping and the under-sized blades jamming. A solution to this is a bandsaw machine, designed for the task of accurately cutting structural material. A machine of this type will have adequate motor drive, will be gear driven, having the capacity to run a blade width designed for the task. • They have stated that the largest piece they will need to cut is 400mm x 300mm. They realise that this is the job for a pack-saw, however, on the other hand they don’t feel they need to have the largest machine in the district, making it is impossible to cut the odd pieces of 45x45 RHS that need to be cut. A solution to this scenario would be to have a separate, smaller Bandsaw to cut the odd small pieces. Production pack-cutting is a job on its own and undersized Machines aren’t designed for this. Sufficient clamping is required to ensure every piece in the pack is held firm. • What is the company budget over the next 5-7 years. Note: 5-7 years – The option to purchase a cheap bandsaw, to do all the above, could result in break-down, high maintenance and huge blade usage within the first 12-months. Replacement costs in under 2 years soon would become a costly decision. The other alternative would be to buy a bandsaw that will last 20 years, with little to no trouble and ongoing running cost will be minimal. This is obvious, however, often overlooked; what is your Budget over the next 5-7 years, not just for now? In answering the above you should find selecting the right bandsaw for you a lot easier. With the variety of bandsaw machines available, all with varying qualities and features – it is best you understand your task at hand so you can make an informed decision and don’t end up with the wrong machine for that task. Want more advice or help selecting a bandsaw machine? Contact our trained sales technicians to help further.